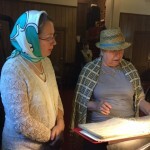 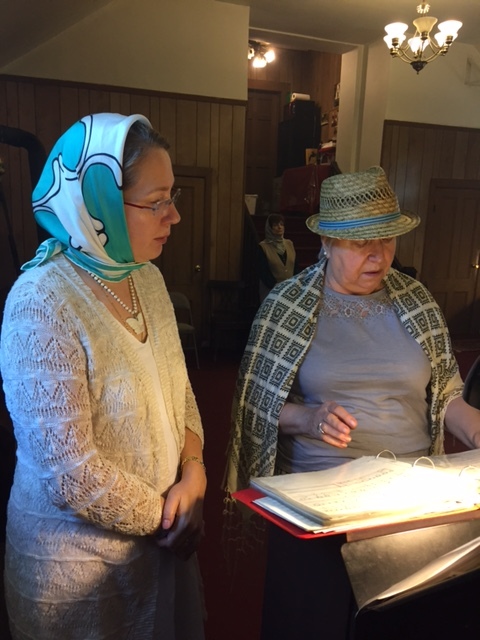 Our Cantor, Olga Roussanow beautifully and prayerfully sang festal hymns dedicated to the Most Holy Theotokos. 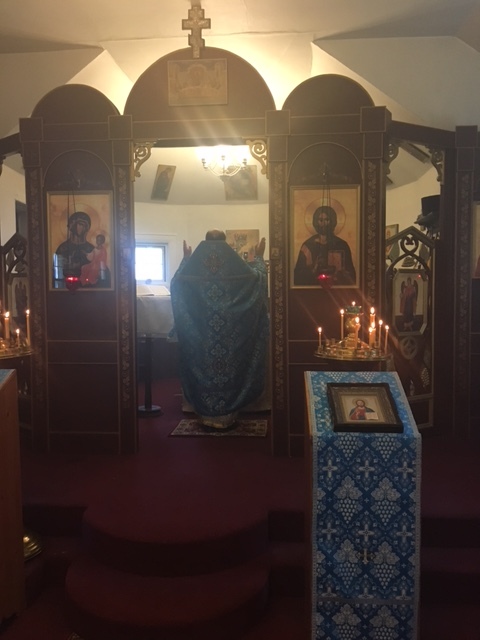 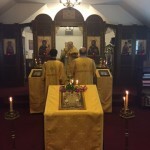 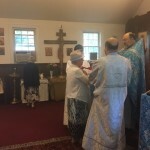 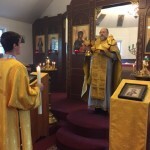 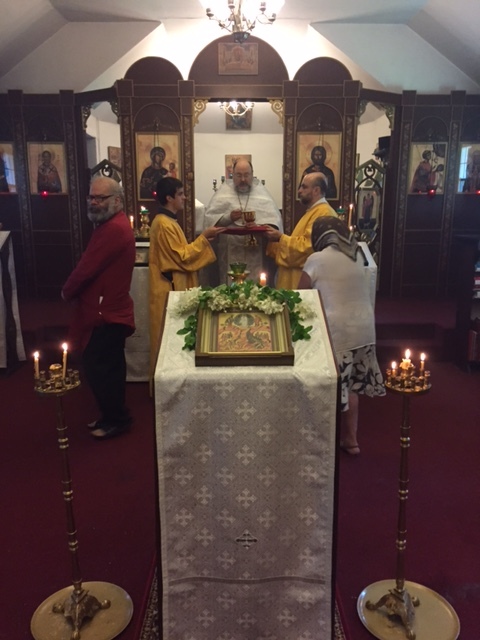 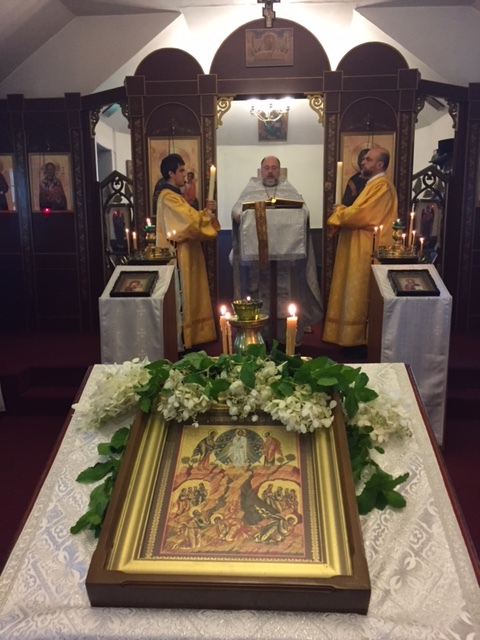 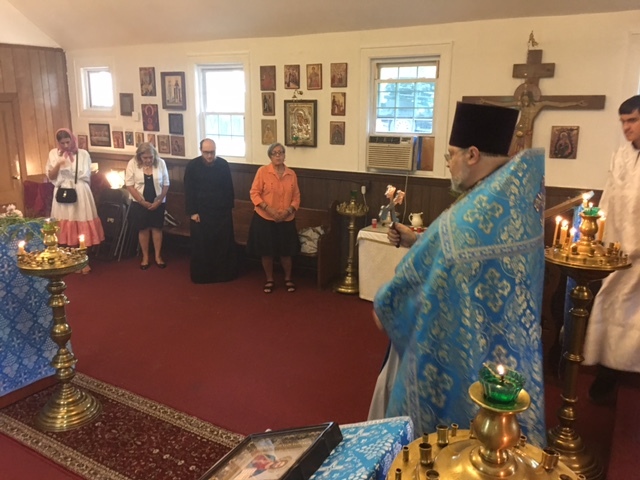 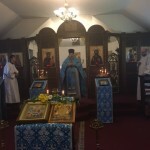 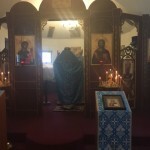 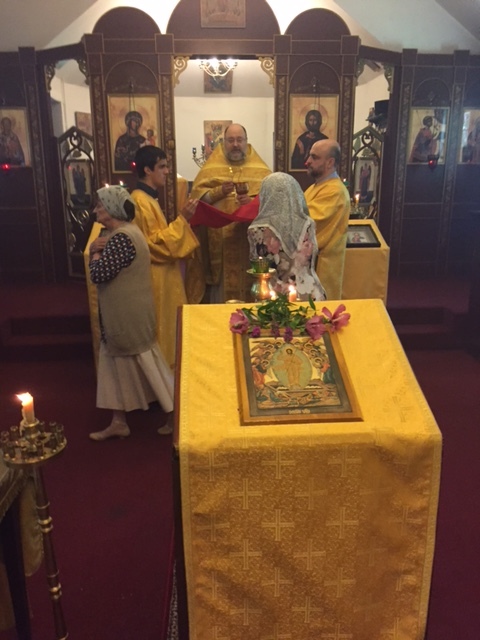 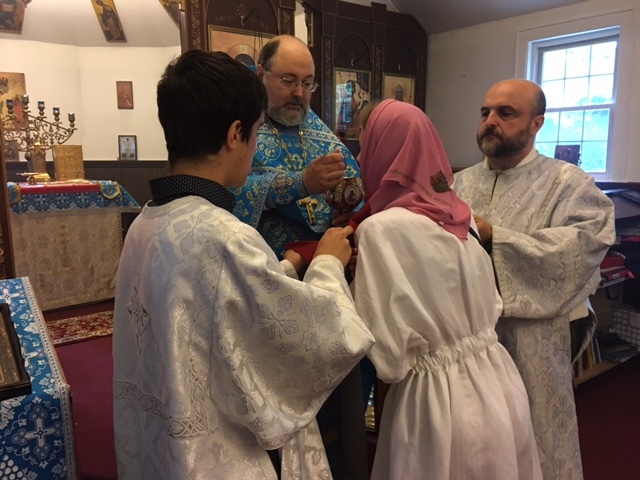 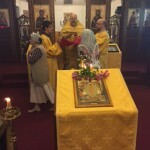 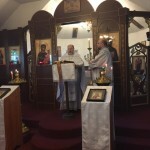 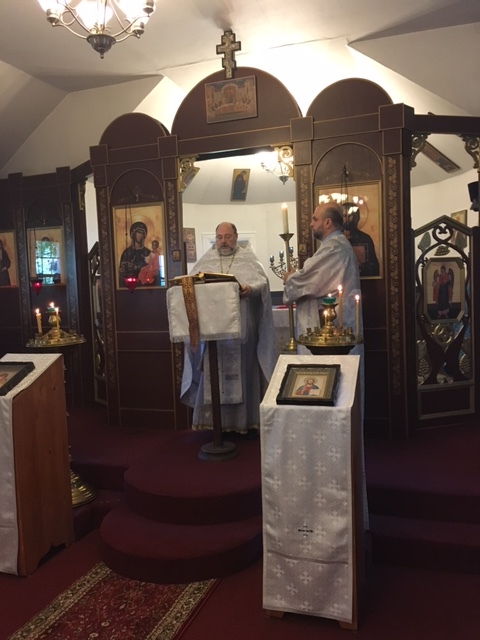 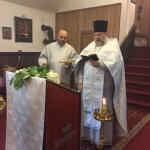 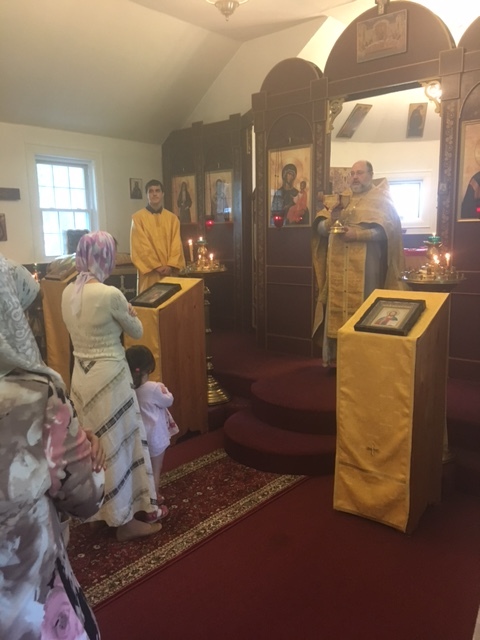 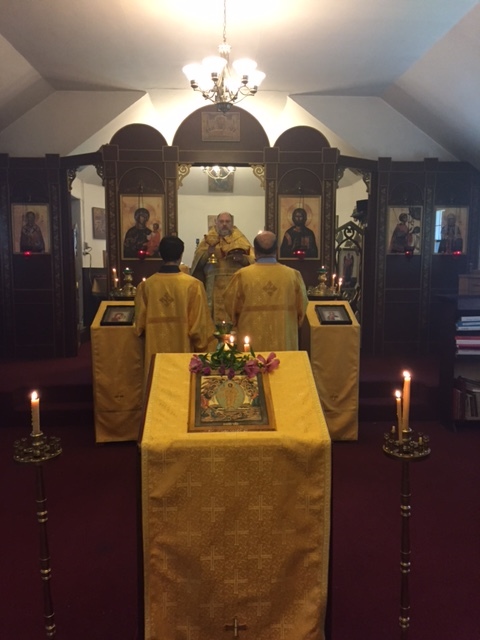 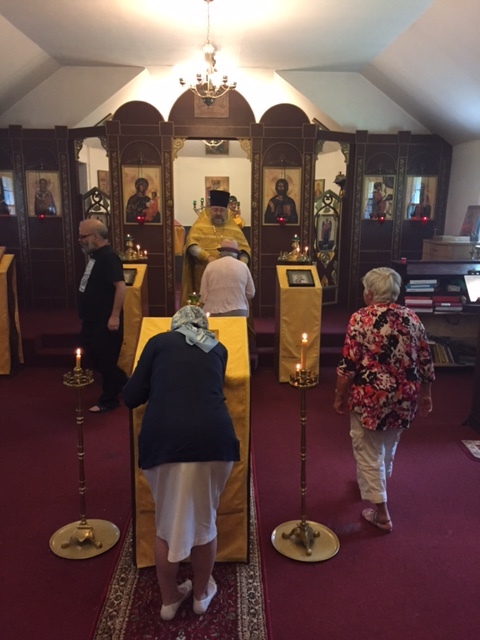 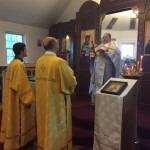 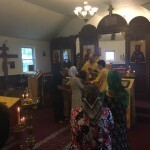 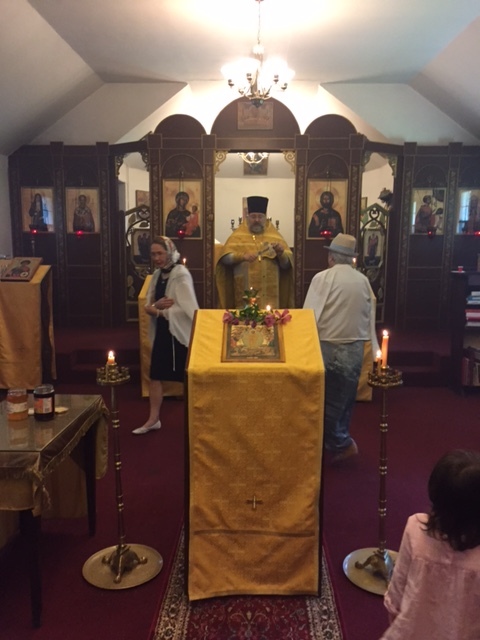 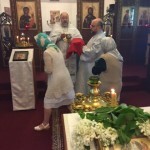 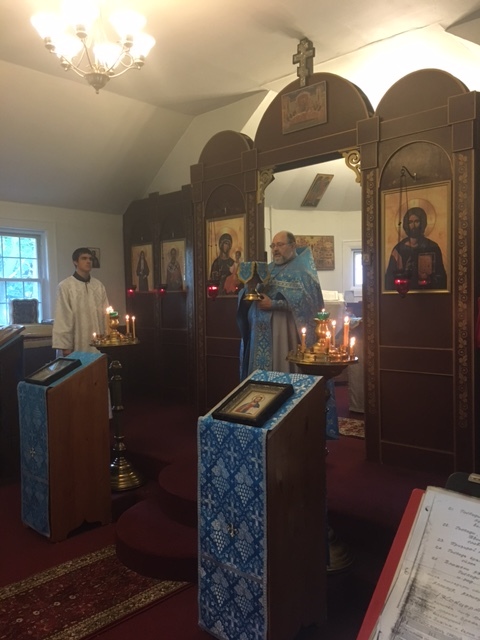 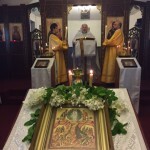 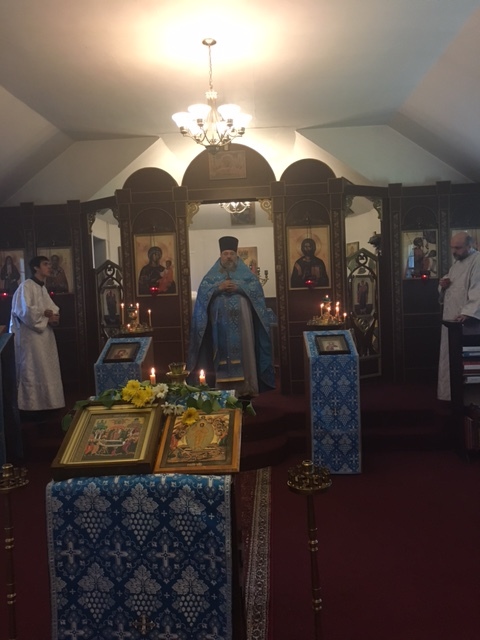 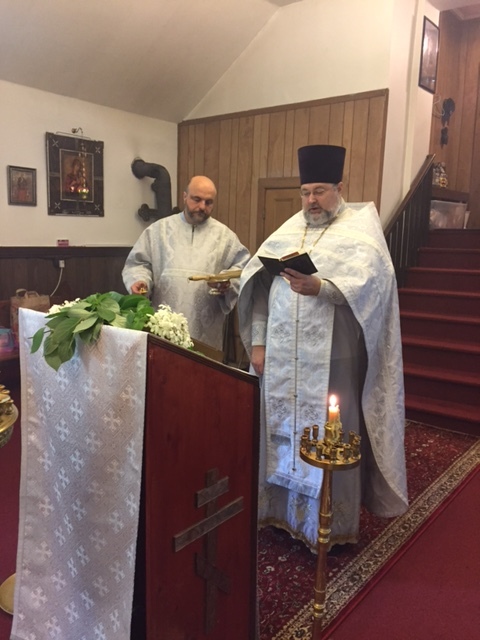 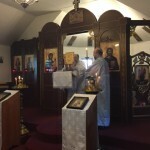 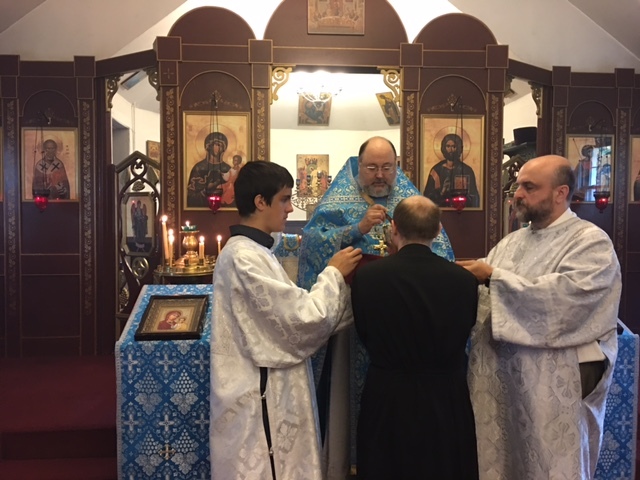 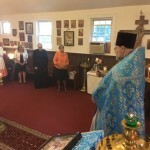 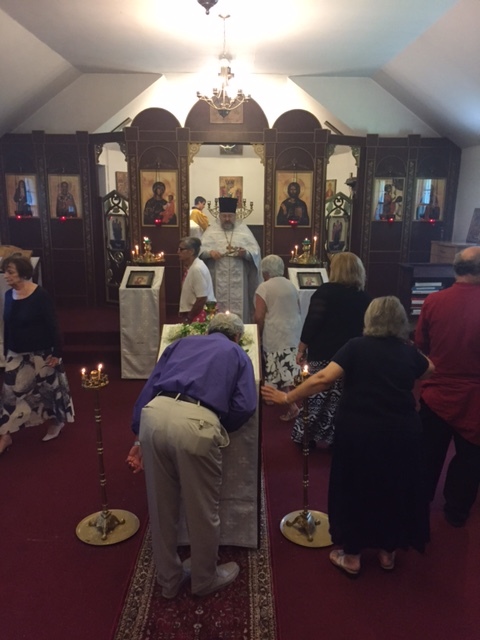 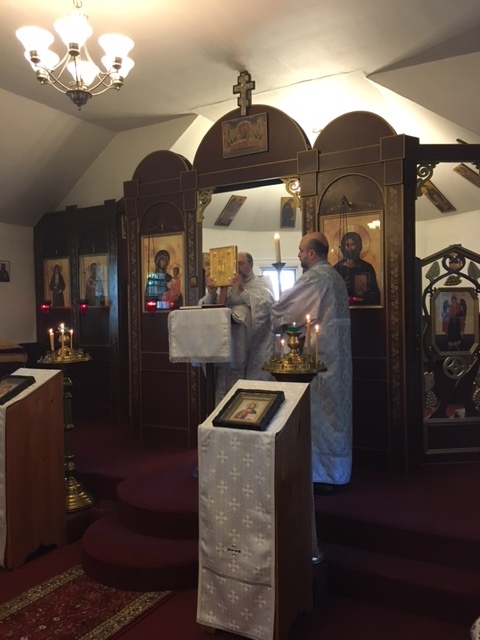 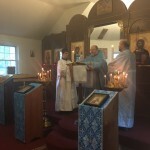 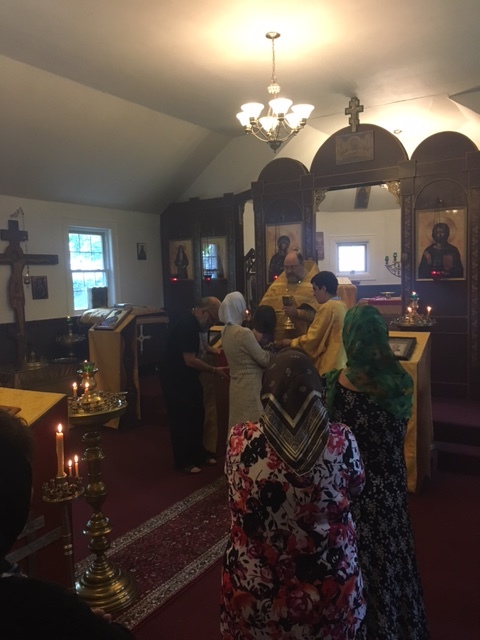 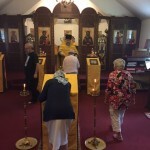 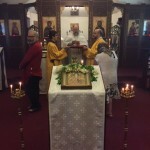 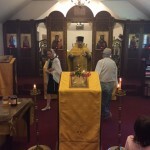 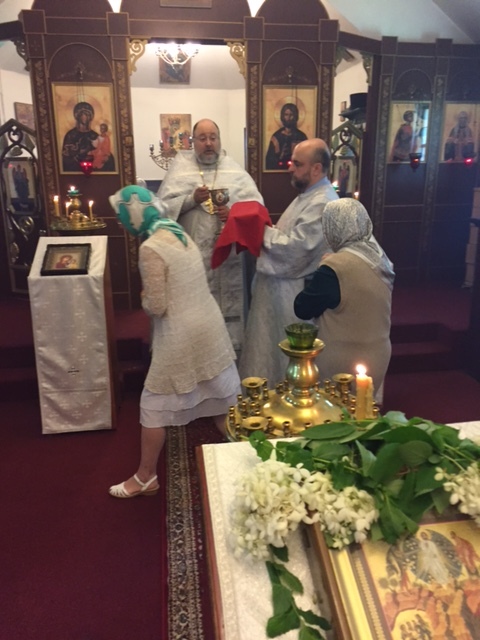 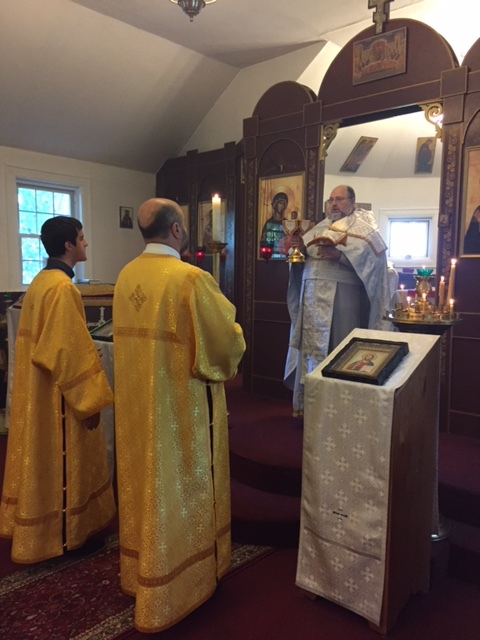 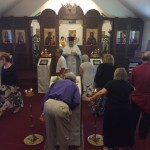 Following the Liturgy dismissal the Rector along with the altar severs came out of the sanctuary and performed the rite of glorification in front of the festal icon singing the troparion, kontakion and magnification of the Dormition. 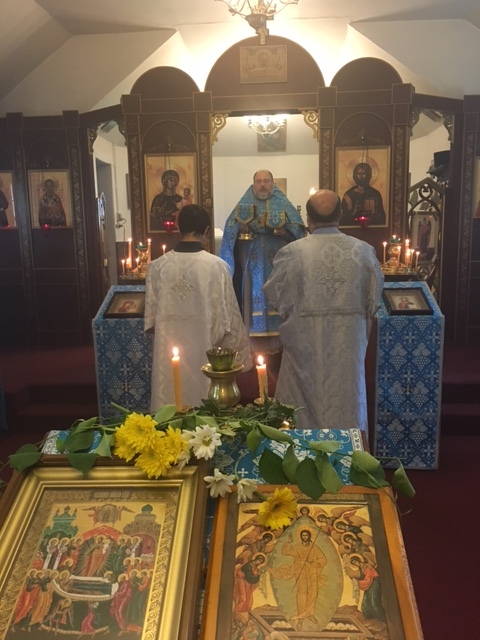 The Rector also delivered a short sermon in Russian stressing the main ideas of his English homily and congratulated all present faithful on the occasion of the greatest holy day of the Most Holy Mother of God. 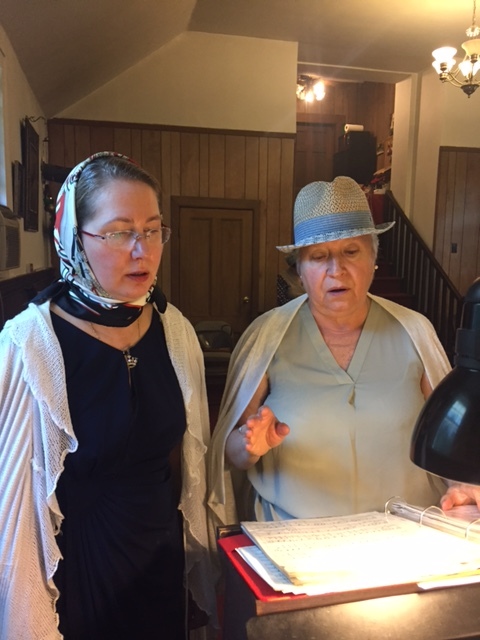 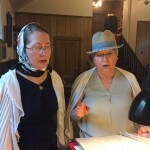 The choir was beautifully singing the hymns during preparation for Holy Communion. 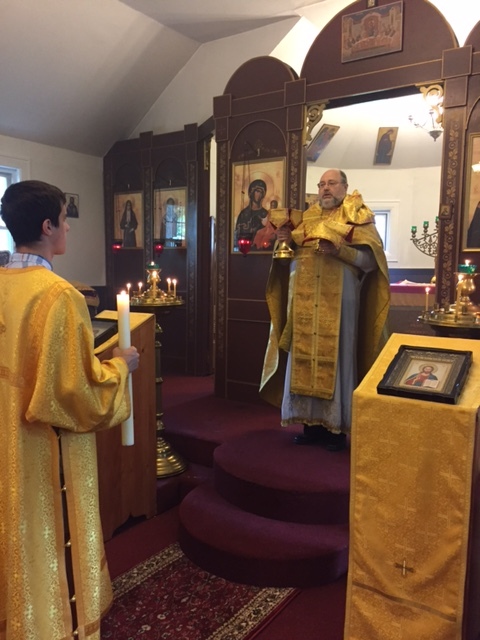 Following the dismissal of the Liturgy the Rector preached a brief sermon in Russian to address the main thoughts of his English homily. 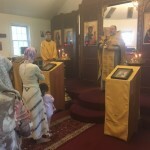 Following the Liturgy dismissal the Rector preached a short sermon in Russian to stress the main thoughts of his English homily. 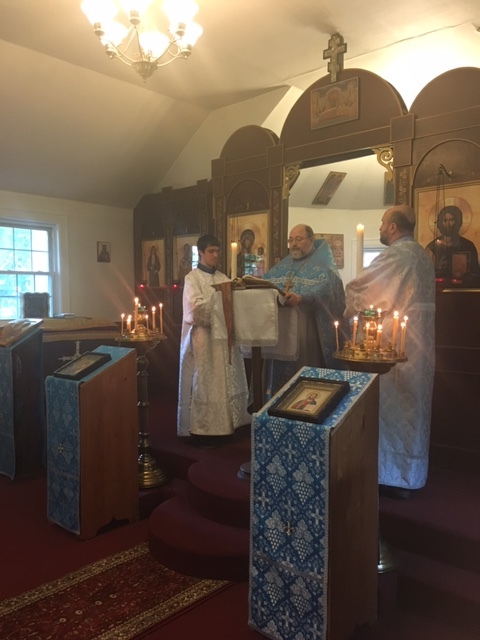 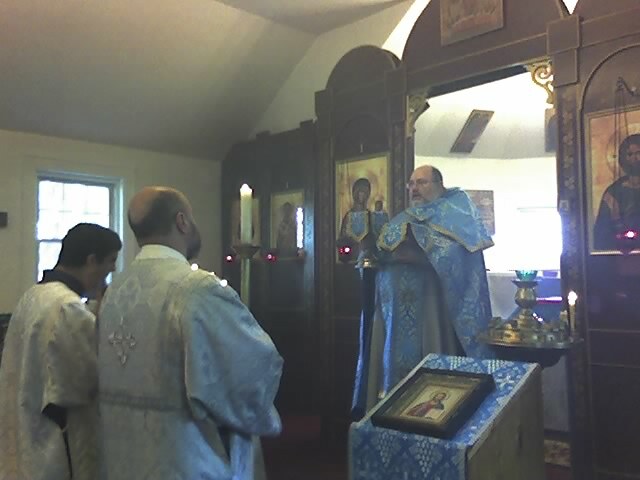 Before the rite of the Holy Communion the choir prayerfully sang festal hymns of Transfiguration. 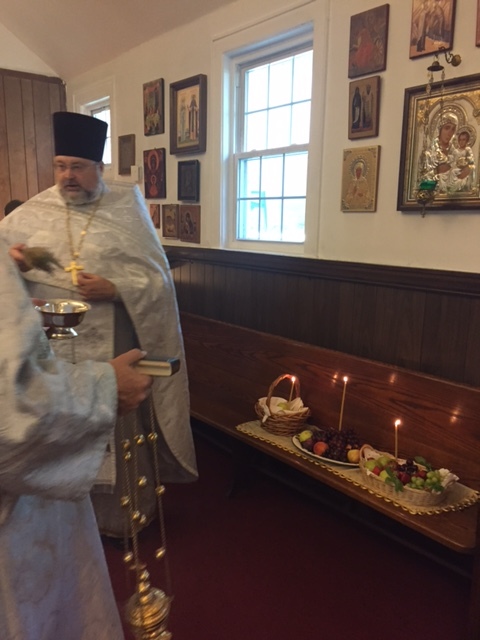 Following the Ambo prayer the Rector performed traditional Blessing of fruits. 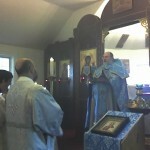 After the dismissal of the Liturgy Fr. 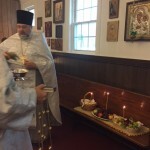 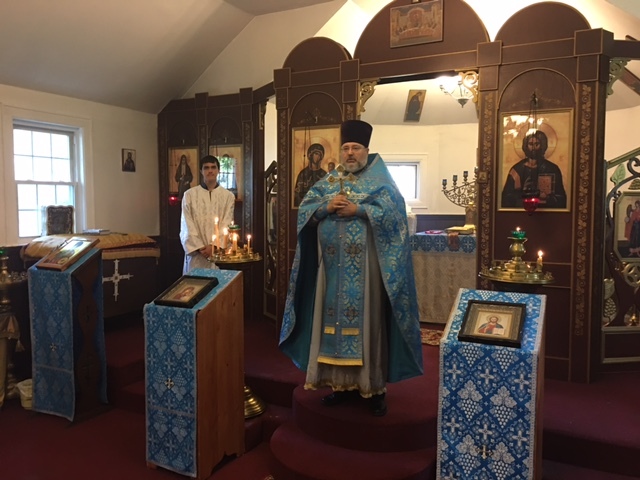 Igor preached a short sermon in Russian and congratulated the parishioners on the occasion of the holy day. 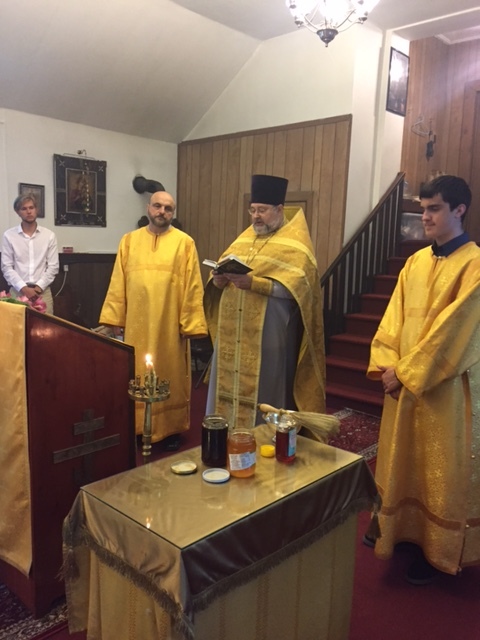 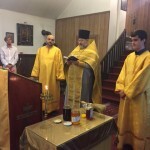 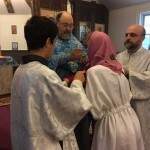 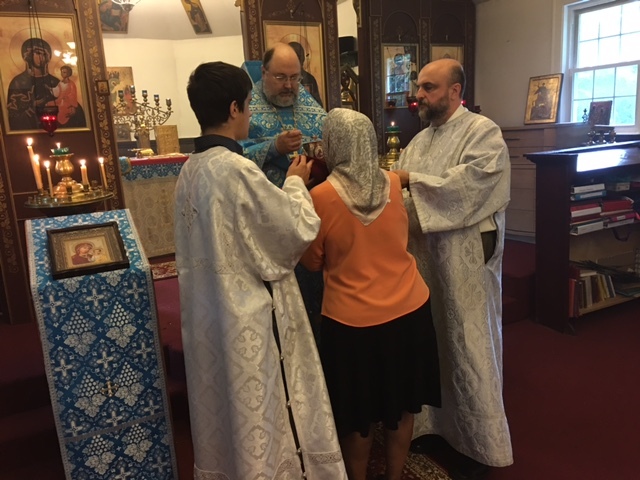 After the dismissal of the Liturgy the Rector performed a customary blessing of the new honey. 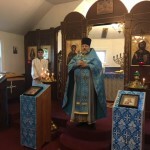 He also preached a short sermon in Russian to stress main thoughts of his English homily. 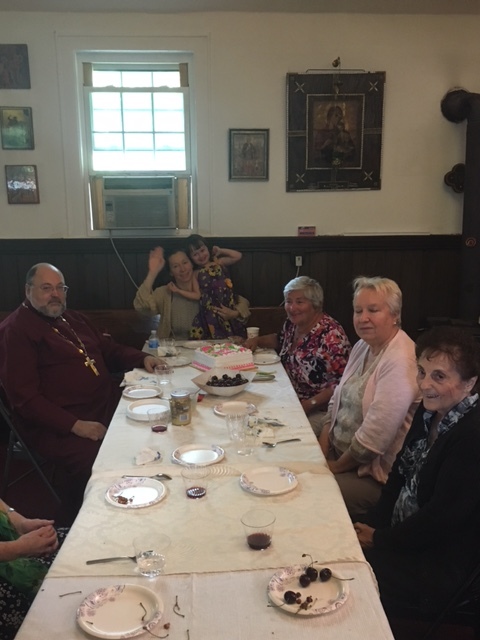 Our celebration continued at the trapeza table where the Rector and parishioners enjoyed delicious food and a nice conversation. 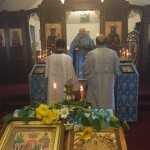 After the dismissal of the Liturgy the Rector preached a short sermon in Russian to convey the ideas of his English homily. 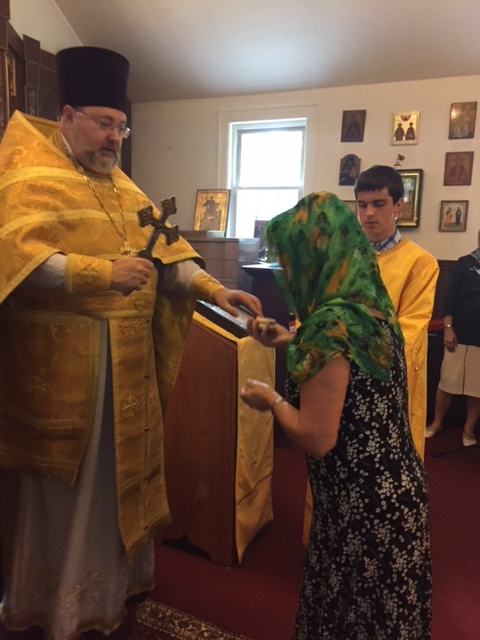 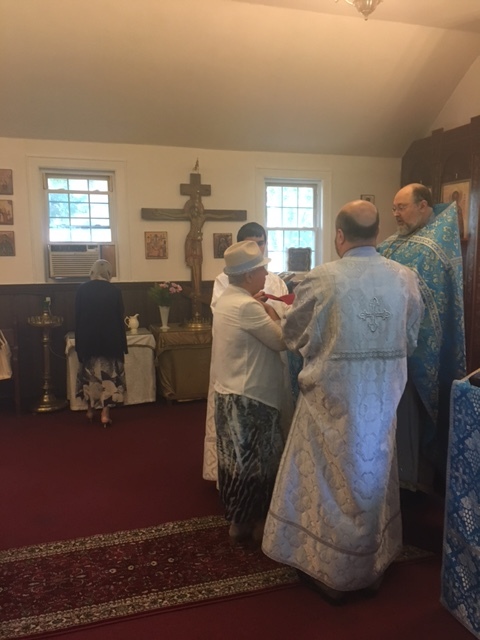 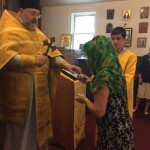 He also congratulated his relative Maria Mitkevych who attended our service on the occasion of her past name day and presented her with the Theotokion prosphora. 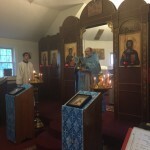 Traditional Polychronion was sung. 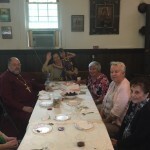 Our celebration continued at the trapeza table where the Rector and parishioners enjoyed delicious meals and a nice company. 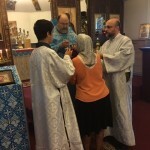 A toast in honor of Maria celebrating her name day was raised.